Here’s one you don’t see every day. 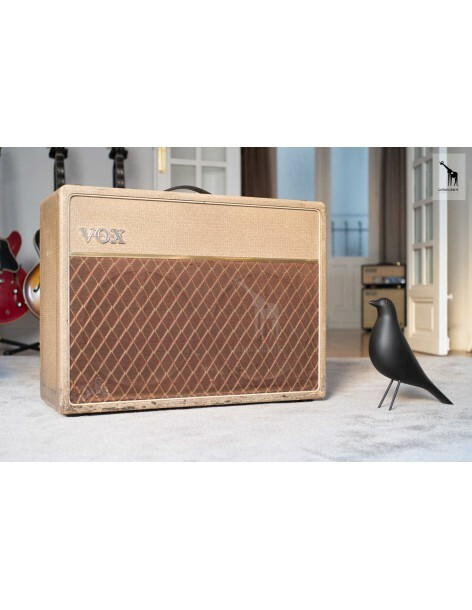 It’s a 1963 VOX AC-30 in Fawn / Blonde covering. That makes it a very rare bird. It’s all original apart from the leather handles, feet and two resistors, and tubes. That’s it. VOX bliss with extra style for sure!